To the west of the town center, the Woodlawn Cemetery was the burial spot for many town notables, including the families who rose to prominence and fortune during the early development of the oil industry. 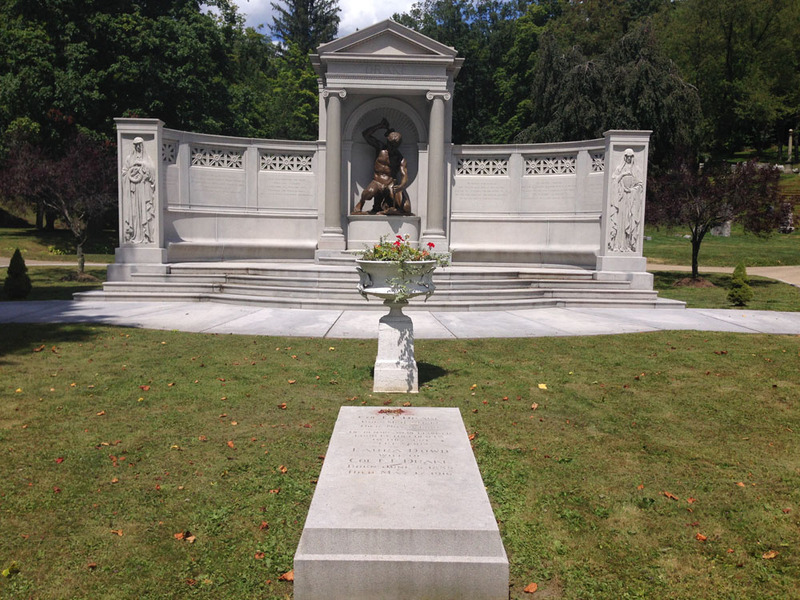 The cemetery centrance is dominated by the monument to Edwin L. Drake (1819-1880) erected in 1902. 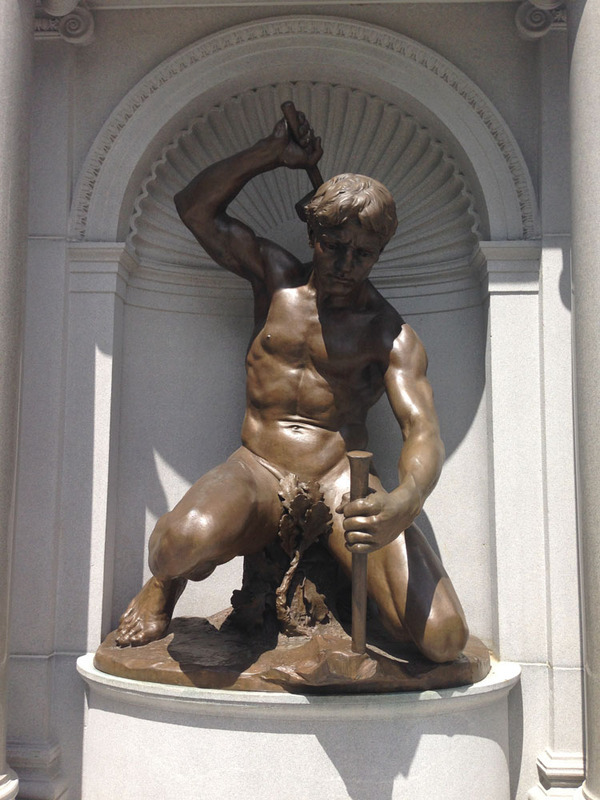 The bronze sculpture of "The Driller," by Charles T. Niehaus. 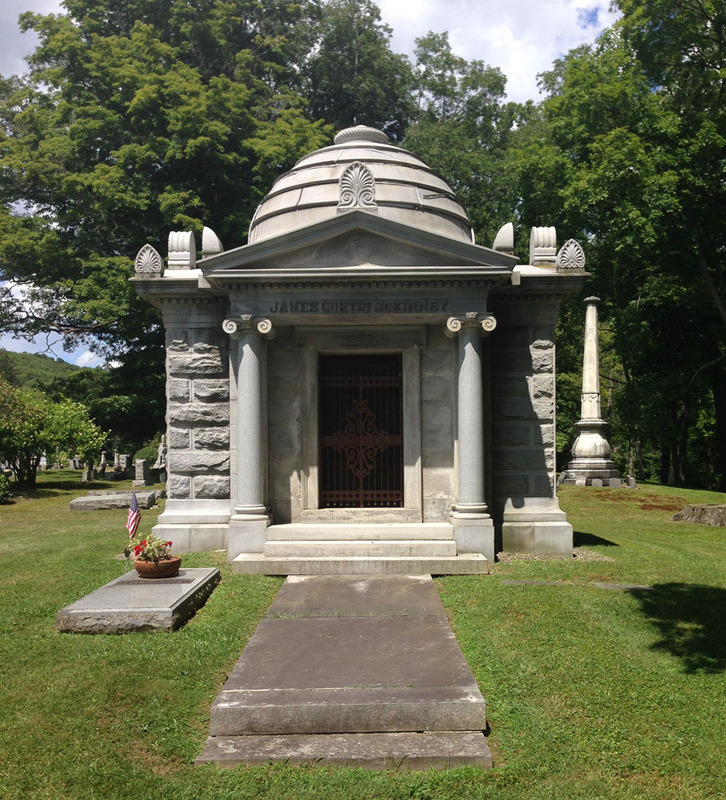 The first mausoleum on the site was erected in 1897 by James Curtis McKinney. 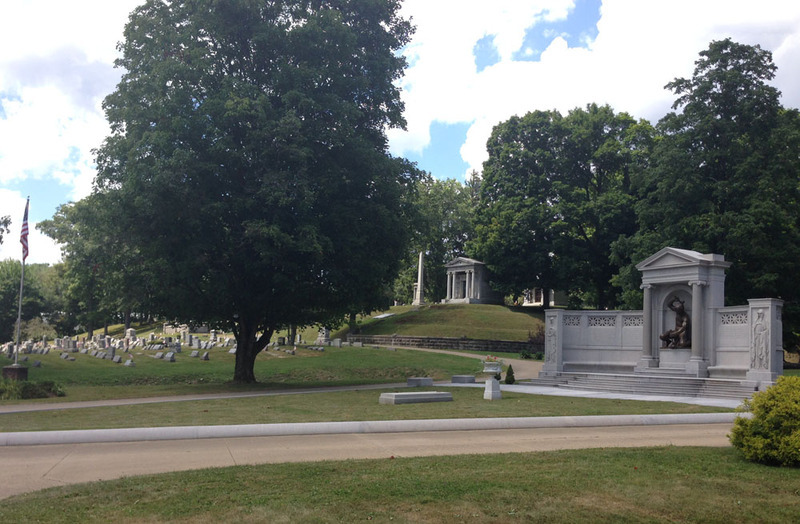 The Tarbell family is also buried here. “Woodlawn Cemetery, Titusville,” NW PA Heritage, accessed April 26, 2019, http://nwpaheritage.org/items/show/44.